After a few days off, the guys have refueled their tanks and are ready to kick off the last half of their residency at the Park Theater in Las Vegas. 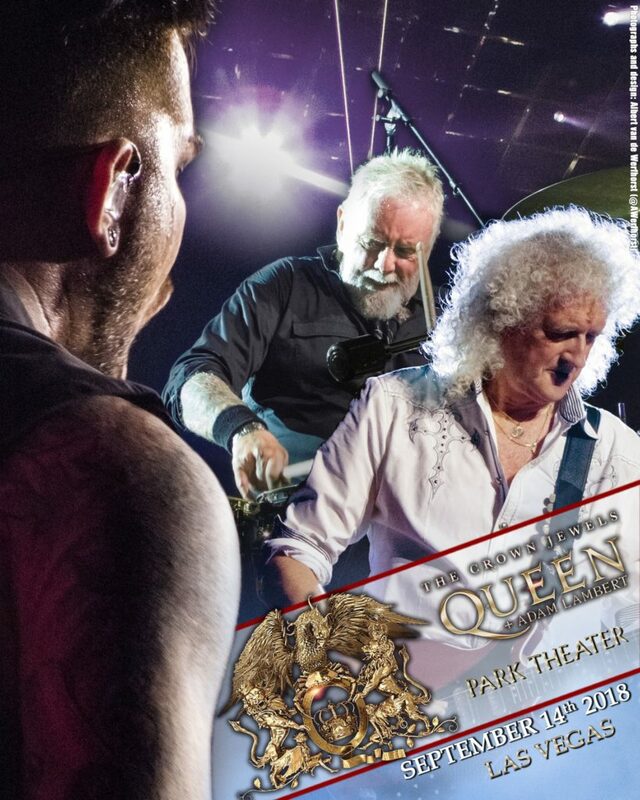 No streams yet - hopin' - "more info later"
Here we go #QAL Las Vegas !!! What a cracking gig! Queen and Adam Lambert – amazing! Just got out of the Queen concert a little while ago and it was soooooo good! My seat was amazing. I was right by the end of the catwalk and because the stage is smaller and lower Adam was soooo freaking close! Meredith @Merrycello Just got out of the Queen concert a little while ago and it was soooooo good! My seat was amazing. I was right by the end of the catwalk and because the stage is smaller and lower Adam was soooo freaking close! You are a breath of life. Together you shine. Saw the 14th show. Memory will never be the same. It was a transformation experience. Teresa Marie Mietus ‏ @TeresaMietus 1h1 hour ago Replying to @adamlambert @QueenWillRock @ParkTheaterLV You are a breath of life. Together you shine. Saw the 14th show. Memory will never be the same. It was a transformation experience. @adamlambert You are an wonderful performer. Saw you 11/14 Vegas. From IL. Came with 28 yr old daughter. Caught a flower and touched your hand. Freddy is smiling. You and Bri together are hilarious and your own and Queen’s music touch my soul. Thank you for being you. Teresa Marie Mietus ‏ @TeresaMietus 1h1 hour ago @adamlambert You are an wonderful performer. Saw you 11/14 Vegas. From IL. Came with 28 yr old daughter. Caught a flower and touched your hand. Freddy is smiling. You and Bri together are hilarious and your own and Queen's music touch my soul. Thank you for being you.